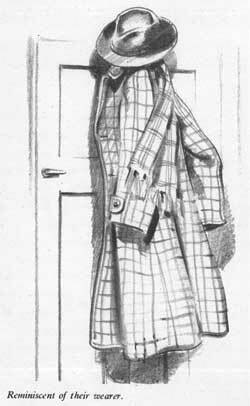 Most of us have at some time or other noticed a hat and coat hanging on a peg and have been struck by their likeness to the owner. I'm sure that clothes really do, to a certain degree, assume the character of the wearer. This sort of thing does not apply to ladies quite so much, possibly because their fashions change more frequently. However, as most people give a great deal of thought to the choice of clothes that suit them, there is every reason why we should also, when we draw them. Many students are inclined to be careless about drawing clothes, almost snobbish in fact, as though they were not worth bothering about. Actually they are very important. They indicate the form underneath. They have textures of their own, which is very helpful from a point of view of technical expression, and above all they, by reason of their folds, express movement and action. Even a sitting figure should look alive so don't smooth out all the folds. If a fold looks ugly, of course, you should re-arrange it. 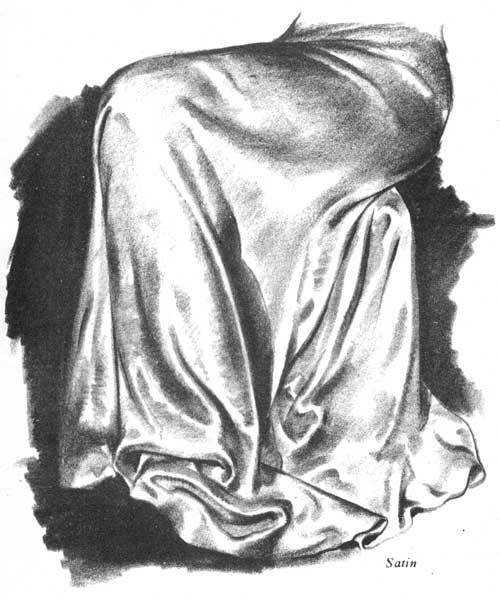 Silk and satin fall in such beautiful folds that they always prove an interesting study. 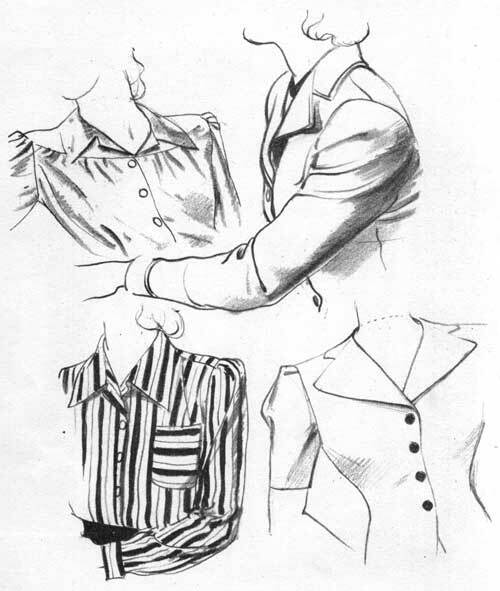 The sketches above are intended merely to demonstrate neck-lines, folds, the roll of a lapel, etc. Clothes should look fresh when they are fresh, and even when they are well worn working clothes they should look interesting.